Holy Week culminating in the great Easter liturgy is now behind us. Robin had especially wanted to be home for the Lenten and Easter liturgical seasons. She loves singing (in her beautiful soprano voice) the wonderful music of these very holy seasons. Her voice along with those of her fellow singers in the St. Mary’s Cathedral Choir (Portland, OR) filled the cathedral with a sound that brought tears to many eyes. It was breathtaking. The final mass Easter morning was their true triumph. The entire choir seemed to sense something special was happening and somehow poured even more heart and emotion into the music. The results were spectacular, and quite honestly the choir saved the day as the presider’s homily was a bit off message especially for a day so filled with a sense of renewal and hope. But, that’s a story for another day. As we walked out of the cathedral, with the echoes of the Hallelujah Chorus still lingering in the nave, I just felt we were in a good place ready to set out on our pilgrimage. 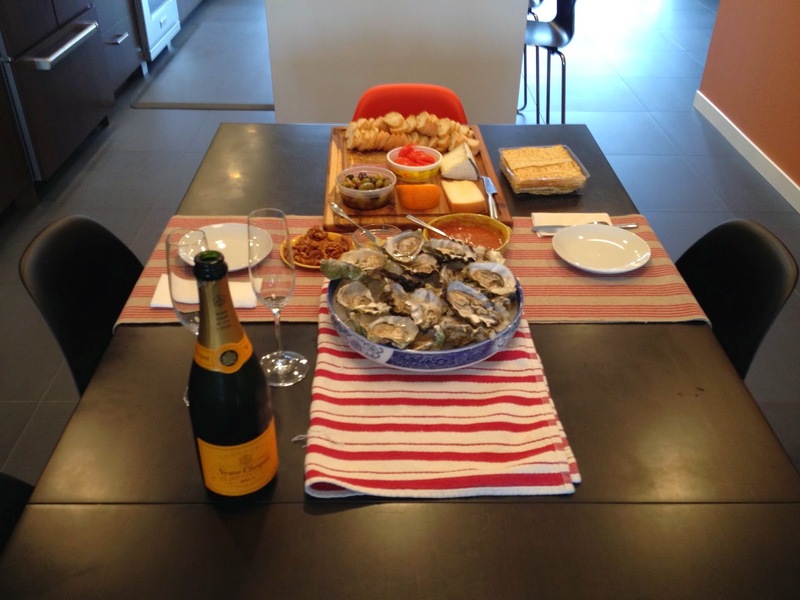 In the spirit of light and fast (well maybe not so fast) backpacking we settled on an Easter meal of champagne and oysters, with a few other goodies thrown in for good measure. The menu del dia will come soon enough. Alleluia!